There are many different kinds of closed circuit security cameras available on the market today. 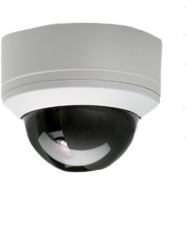 Whe ther the cameras are in your home or business, you will feel safe knowing that access to your cameras is just a click away. Today, CCTV installations utilize the internet or smart phone technology which allow you to keep an eye on your loved ones or investments 24/7. With an assessment of your security needs, we can install the best possible system to fulfill all your needs.